Whitehouse Machine Tools has been appointed, with immediate effect, sole agent to sell and service in the UK and Ireland the full range of machine tools manufactured by WELE Mechatronic. You can view the complete WELE range here. 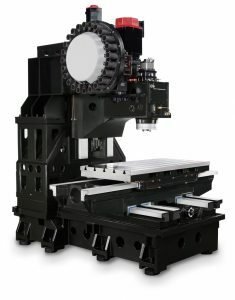 Founded in 2007, the Taiwanese firm produces vertical and horizontal machining centres with X-axis strokes up to 2,500 mm, B-axis and trunnion-type 5-axis machining centres with up to four metres travel in X, large bridge-type mill-turn centres with capacities up to 16 x 5 x 1 metre, horizontal borers, and both horizontal- and vertical-spindle turning centres. Tim Whitehouse, Managing Director of Whitehouse Machine Tools, Kenilworth said, “We are delighted to represent WELE and its wide portfolio of machines, which have won numerous awards at international machine tool shows. “The group’s product range greatly enhances Whitehouse Machine Tools’ offering to British and Irish manufacturers and dovetails neatly with machines from our other principals. One of the latest new products to be introduced by WELE is the AA1165 vertical machining centre. It is a powerful, high accuracy machine that has undergone extensive hand scraping and offers a working volume of 1,100 x 650 x 600 mm. Mr Whitehouse mentioned that the first one has been sold to a market‐leading manufacturer in the UK of split valves for the pharmaceutical industry, complete with a tailstock and Kitagawa 4th CNC axis. Another has been ordered for stock at the agent’s Kenilworth showroom and technical centre. View the complete WELE range here. The robust construction of the AA1165 3-axis VMC manufactured by WELE.